Estonians holy St. Johns Day is already over and July is here. Summer has been extra kind this year and brought some nice and warm weather to us. This is a cause for celebration! Come and see, what has July brought to VIUU and gift yourself with a nice pair of glasses. The French high fashion flagship Dior has sent some extra fresh accessories to VIUU. Spring-summer 2018 sunglasses bring a lot of excitement. 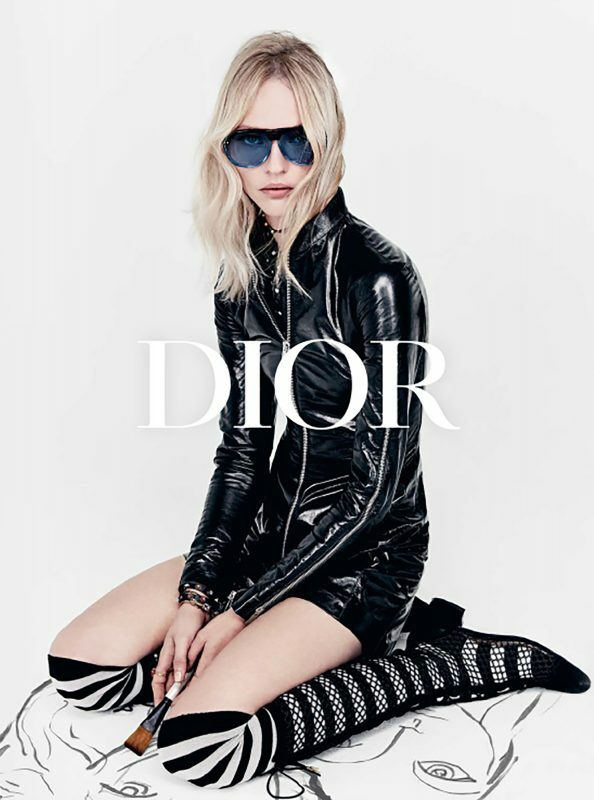 Futuristic Dior Club 3, seen in the photo on your right, is a modern interpretation of the classic aviator style. Polycarbonate lenses and acetate frame give them much appreciated lightness and comfort. Due to its peculiar design, this frame doesn’t allow to change the lenses. However, the existing ones offer second category protection against the UV radiation, which is more than enough for everyday use. VIUU has Dior Club 3 in blue and although at first it was designed for women, the wide built has made this frame also suitable for men. 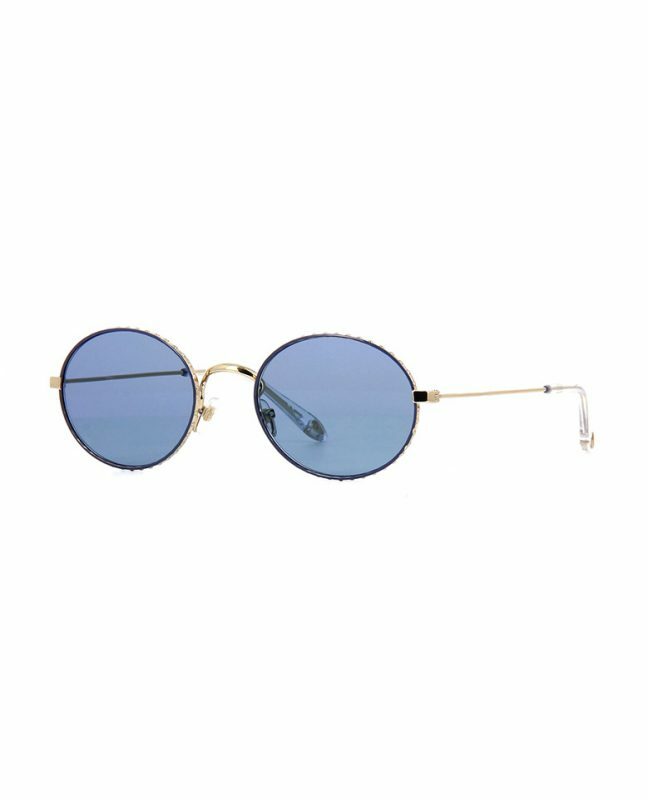 Dior Lia was also originally designed for women but again, the wide built of the frame and modern interpretation of the aviator style has made it desirable for both genders. The lenses also offer second category sun protection and the design of the frame doesn’t allow the lenses to be changed. Model Lia in black has been seen on Hollywood actress and director Angelina Jolie. VIUU has Lia in brown. 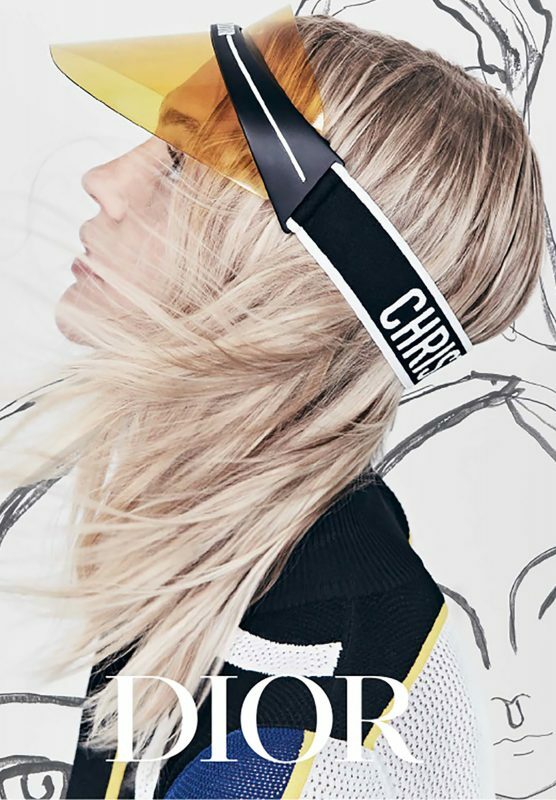 Dior brought something extra exciting to us this summer- the DiorClub1 visor. This vain but on the other hand super practical visor was brought to the wider circle of fashion lovers straight from the Paris Fashion Week Dior spring-summer runway show. The visors are available in six different colors, VIUU is selling one in gray. The visor is held together by a light but strong plastic frame and comfortable fit is guaranteed by a soft, adjustable elastic band. The forehead is supported by a soft padding. The visor protects against UVA and UVB radiation! Dior Blacktie is made especially for men. VIUU has model Blacktie 247S in transparent and retro Blacktie 248S in brown color. Both sunglasses offer strong protection from the sun and are therefore practical and timeless accessories in every man’s wardrobe. In addition, with their timeless design and wide frame, model Dior Club 3 and Dior Lia have become the favorites of men too. The French luxury fashion and perfume house Givenchy offers thrilling new frame shapes. VIUU has GV7091/S in brown Havana and transparent pink acetate. Both frames were originally designed for men but thanks to their unisex shape they can be worn by both men and women. Model GV7090/S seen on the right is made of light metal and the rim is decorated with studlike ornaments. Existing blue lenses offer second category protection and can be changed into optical lenses of your choice. American fashion brand Rag & Bone is being represented by translucent orange Clubmaster-like geometric 1007S with blue lenses and super comfortable, dark lensed 5003S with tortoiseshell acetate temples. Spring-summer at VIUU has seen many feminine and comfortable MaxMara sunnies. MM Lina II is still waiting for its fashionable new owner. The vain frame doesn’t skimp on comfort and practicality. Lina offers third category protection against the sun and its light acetate frame and metal nose pads allow us to adjust it right for your face. VIUU has Lina in black, as seen on the picture below. Austrian eyewear magician Andy Wolf has added a new batch of gorgeous frames to VIUU. Optical model 5081 is back in soft beige and brown shades. A similar first-timer 5047 is positively surprising with more catlike shape and feminine color combination. From the first moment, our hearts were taken by aviators ADAMS and STEIN. NAYA and WILDING, simple in shape but rich in detail, are also gorgeous newcomers here to steal your heart. Kitty-like GRACE sisters came in a pair. One in Audrey Hepburn-like black acetate with golden elegant metal temples and the other in translucent turquoise acetate with light yellow see-through lenses. We are a big fan of the both but the ones with bright yellow lenses make the world so beautiful, that you never want to take them off again. In addition, both sunglasses are super comfortable and you can put optical lenses in the frame if needed. With a bit more rigorous frame but still, uber-feminine ANNABELLE and CONSTANCE are as comfortable as the GRACE sisters. Both frames have glamorous gradient lenses and light metal temples add elegance. All new Andy Wolf sunglasses have high-quality Zeiss lenses installed in the frame. Model KOKO is a new addition from British legend Oliver Goldsmith. KOKO is a big favorite of many famous people. In the photo on the right famous fashion model Gigi Hadid is wearing KOKO sunglasses in white, VIUU has them in black. Although summer is the time for vacations, VIUU isn’t chilling around. 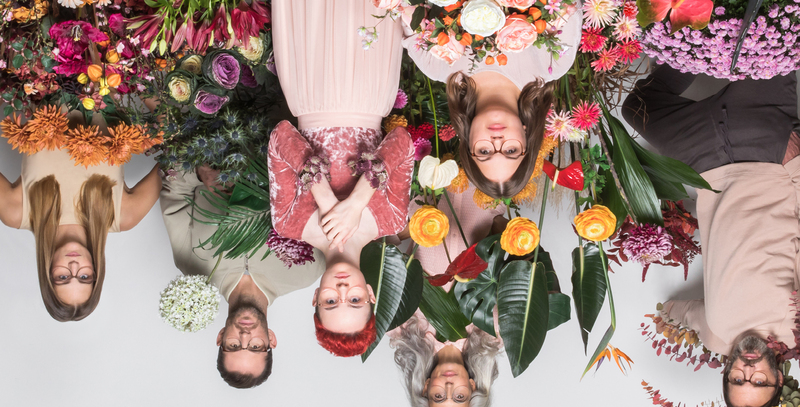 We have brought a wide selection of glasses to you starting from the runway and finishing with British eyewear legends. We work so you could buy the best of the best. In addition, no eyewear of ours is skimping on comfort and quality. All sunglasses from VIUU protect your eyes against UV radiation and most of the models have exchangeable lenses. New summery selection brings joy to the conservatives and isn’t leaving out the extravagant ones either. Pull your feet out of the sand, come and pick out some proper sunglasses and enjoy the rest of the summer safely and in great style! *3 is the maximum UVA and UVB category of protection given to sunglasses in everyday use. After that comes special-purpose eyewear like sunglasses for mountaineers and sailors, which fall into the fourth category. But these can’t be used for everyday needs as they are too dark for example to drive a car. See VIUU’s selection of sunglasses HERE and come to try some on at VIUUshop, Telliskivi 60! 2019’s hottest eyewear now at VIUU! Can prescription lenses be added to sunglasses frames? How to take care of your sunglasses? Andy Wolf now in metal!